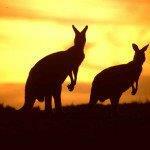 Need some budget option from France to Australia we have good news for you! Air China has recently greatly discounted flights on route Paris–Sydney…If you can accept one long layover on your way you can book return flights on this route already for €537 incl. all taxes, onboard meals and two checked in luggages..Moreover you can build multi-city ticket adding approx €30 to the fare. (Air China offer free stopover the only reason of price difference is that not all OTA support multi-city tickets). If interested in this discount deal with Air China you will find the cheapest flights when departing from Paris to Sydney from 6th of May to 6th of June or 15th of October to 28th of November 2019. Min stay 5 days. Max stay 3 months. Two free stopovers in China available. Including 2x23kg bag in hold. Fare class is “L“. Offer is available till 30th of April or until sold out..
You can compare all cheapest flights at Air China then book it with your preferred booking agent. If interested in this offer you can refer to our booking samples below. Tip. : In some cases you are eligible to get free hotel during a layover in China. To check further details simply follow to this article. You can book your accommodation in Sydney via Booking.com. Also you can further discount your hotel when using one of following promo codes. Booking sample of cheap flights from Paris to Sydney, Australia from €537 return! You would depart from France to this city in Australia on 19th of May. Your inbound flight from Sydney back to Paris then on 1st of June 2019.